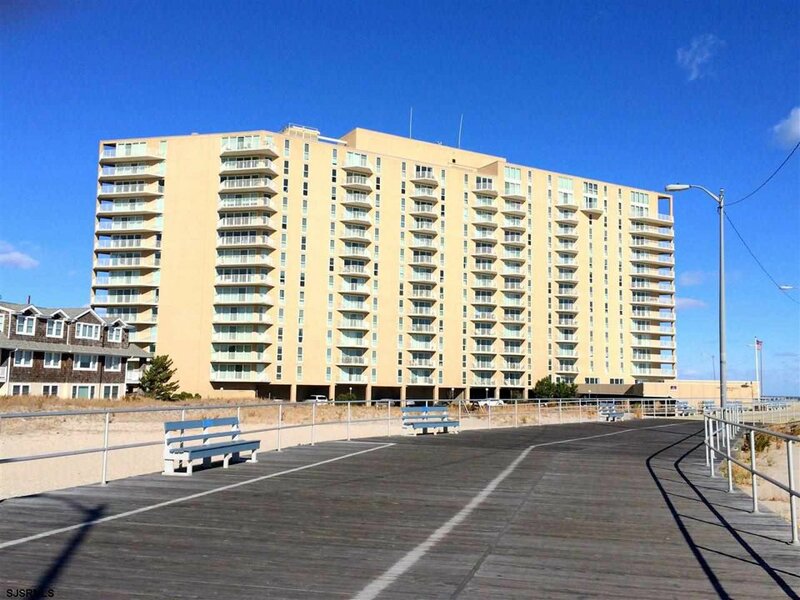 Are you looking for Gardens Plaza condos for sale in Ocean City NJ? The Gardens Plaza was built in 1973, features 187 boardwalk/beachfront condos ranging from 1 bed 1 bath, 2 bed 2 baths & 3 bed 2 baths. Including the Penthouse Condos at the top. All with a "view' -whether the view of Atlantic City North, South with Wonderland or a little of both from the due west above the parking lot-units. On-site management, 24/7 security, staff to assist w bags, elevators, storage room, off-street assigned parking, a life guarded pool with direct beach/boardwalk access & outside beach showers, fitness center & community room. There is a 30 day minimum for rentals and NO pet policy for both owners and tenants alike. HOA's range depending on size of home. It's runs very similar to a first class hotel-except you can OWN-buy and sell.